When I lived on East 5th Street in the 1960s, the roof of this building at 212 East 6th Street was directly beneath my rear window. At that time there was some kind of meat packing or food processing business in the building. It was noisy with machinery during week days, then silent at night and on weekends. At an earlier date it was the home of Wm. Rosenbaum & Bro., plumbing supplies, who have left their inscription on the facade. 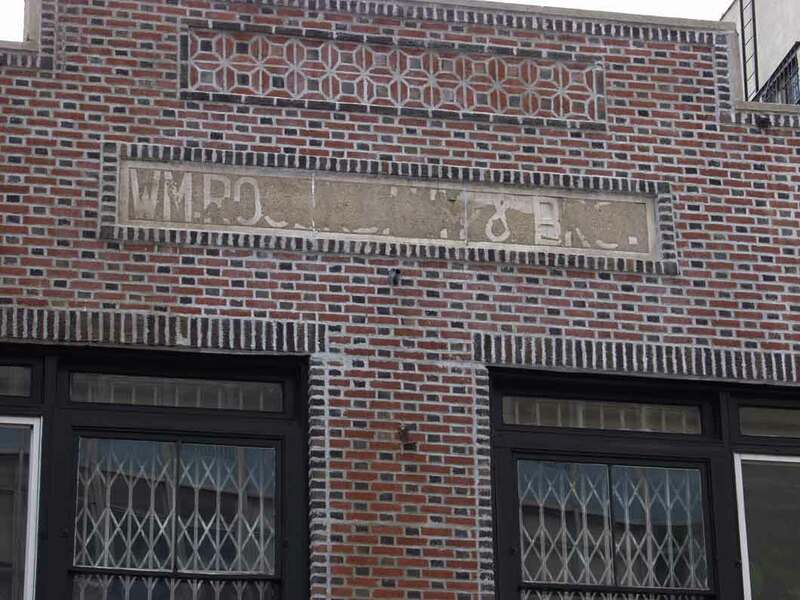 The website http://www.metrohistory.com/ indicates that 212-214 East 6th Street was built in 1924 as a two-story brick store and storage building at a cost of $25,000, and that the owner was William Rosenbaum, 245 2nd Street. William Rosenbaum & Bro., Plumbing Supplies, was listed in New York city directories in 1905 at 245 East 2nd St., and they moved in 1924 to 212 East 6th St. They were in business here until 1940. The Rosenbaums lived at 300 East 2nd St. for many years. They were still there at the time of the 1925 New York State Census, when Joseph Rosenbaum was 76 years old and William Rosenbaum, age 40, a business man. 300 East 2nd Street is the location of a foundry mark for Lindsay, Graff & Mecquier. It is no. 11 in the list on the Lindsay, Graff & Mecquier page.